!! OMG, forget Kimmy! Keeping Up With The Kattarshians is our fave new feline-reality show obsession !! 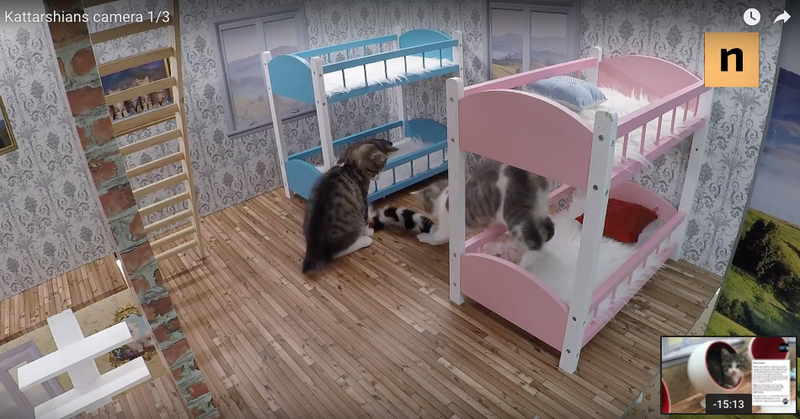 Keeping Up With the Kattarshians is a cooperation reality TV project with The Icelandic Cat Protection Society and (not surprisingly) already has more substance and depth than and episode Keeping Up With The Kardashians, without even lifting a paw or curling a tail! Check out their live-cam feed HERE! Be the first to comment on "OMG, forget Kimmy! Keeping Up With The Kattarshians is our fave new feline-reality show obsession"